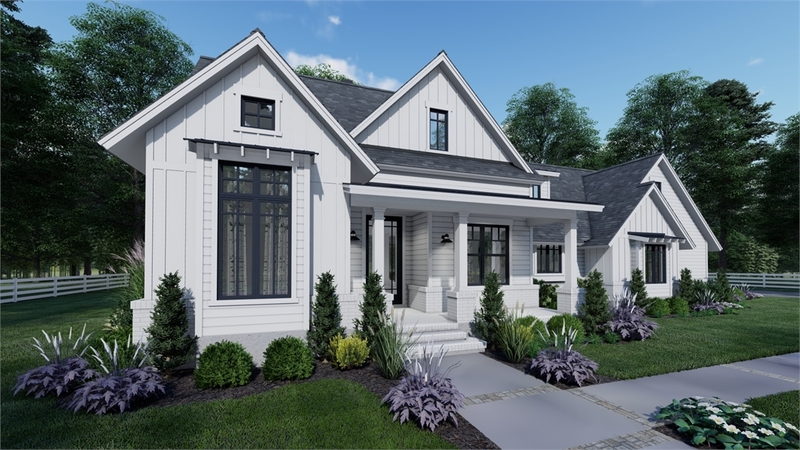 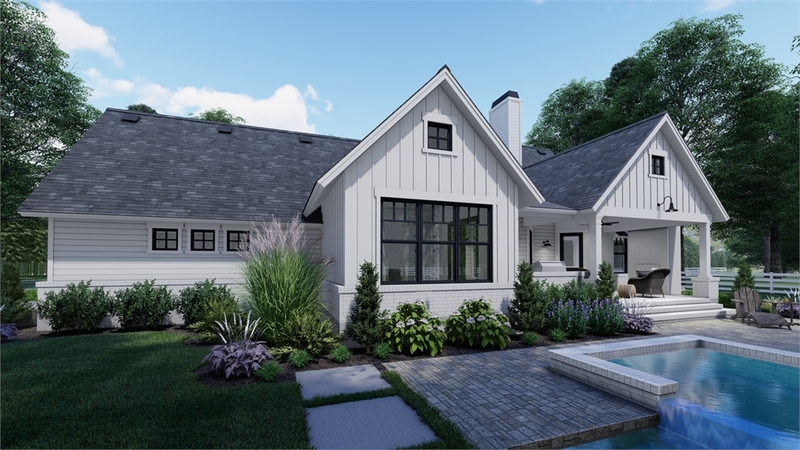 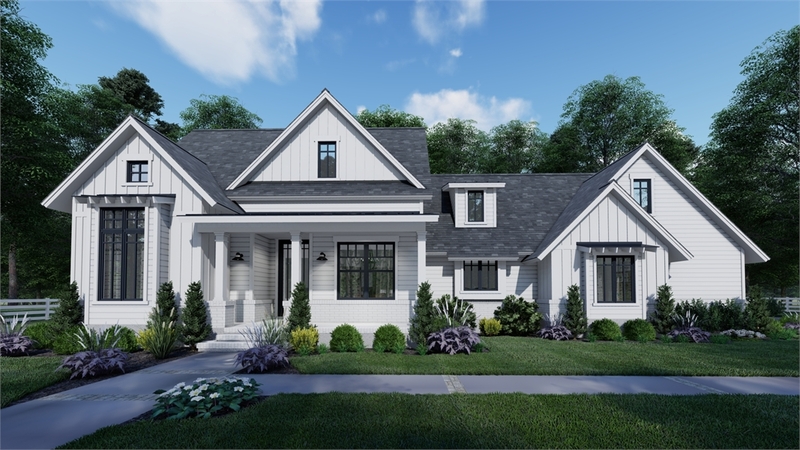 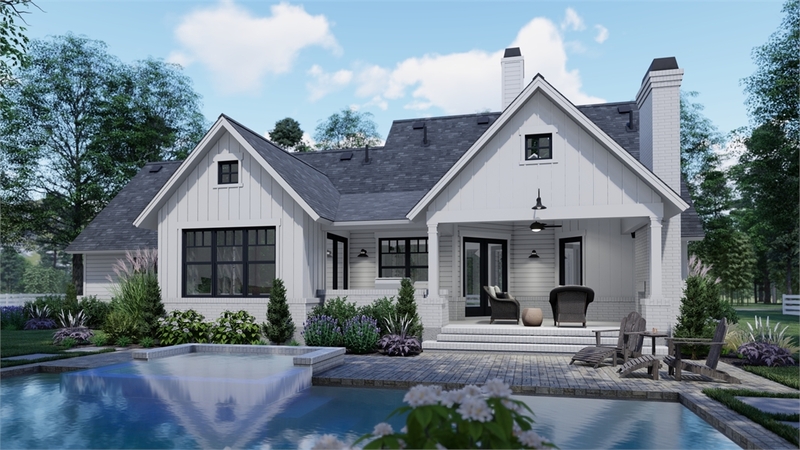 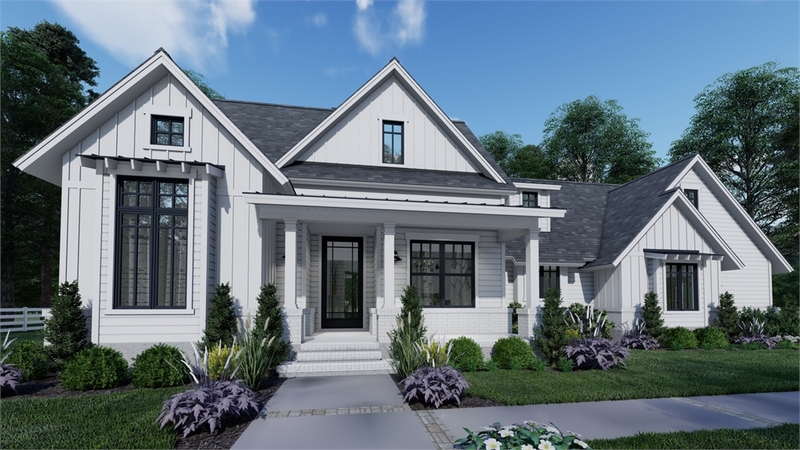 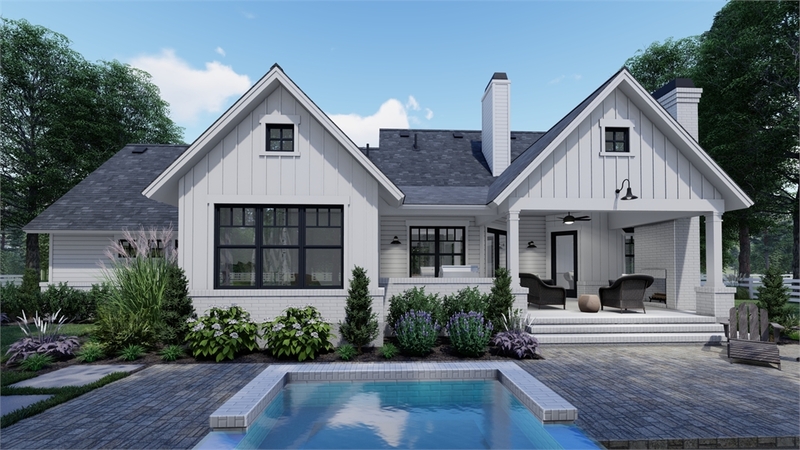 PLAN DESCRIPTION This cozy modern farmhouse features 1,486 square feet of open living with 3 bedrooms in a split design and private master suite. 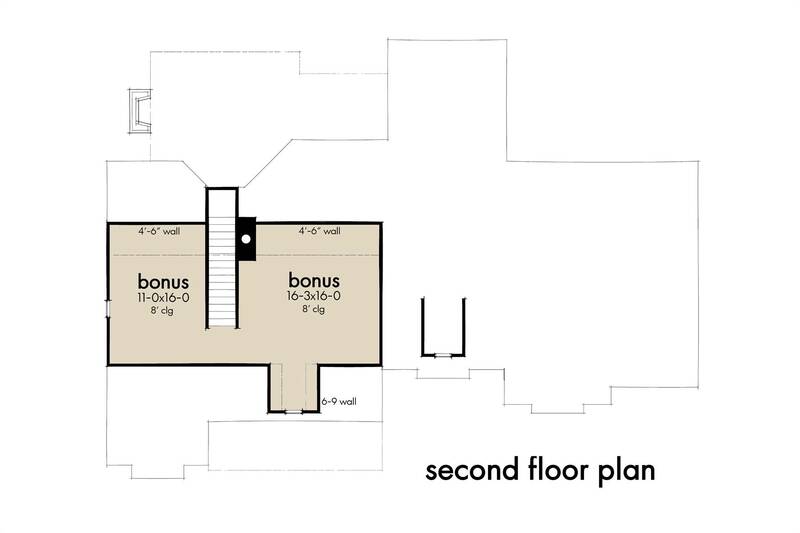 The kitchen features island seating, a walk-in pantry and is accessible to the laundry/mudroom. 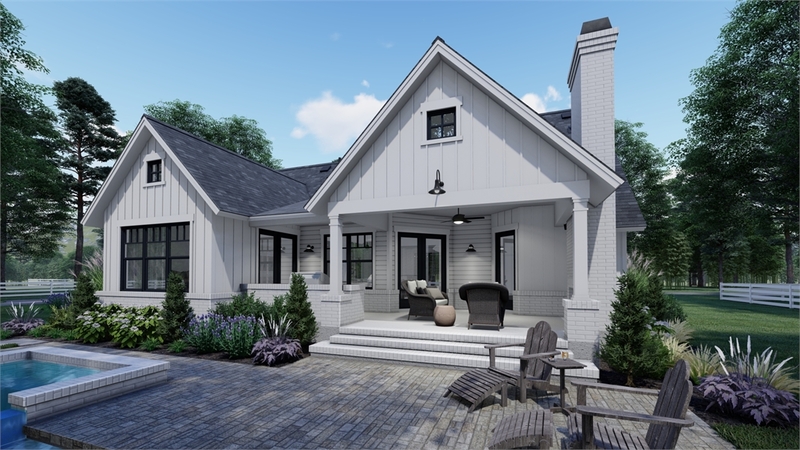 A beautiful covered lanai features a fireplace and plenty of room for outdoor living. 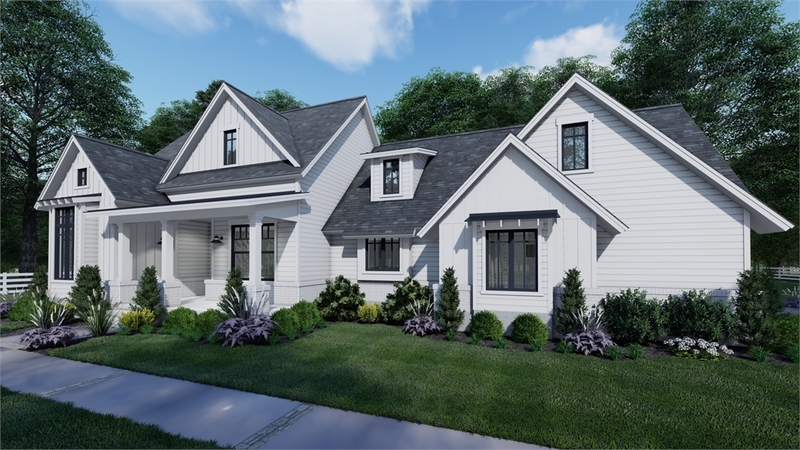 There is room to grow with two bonus rooms upstairs and walkout basement option. 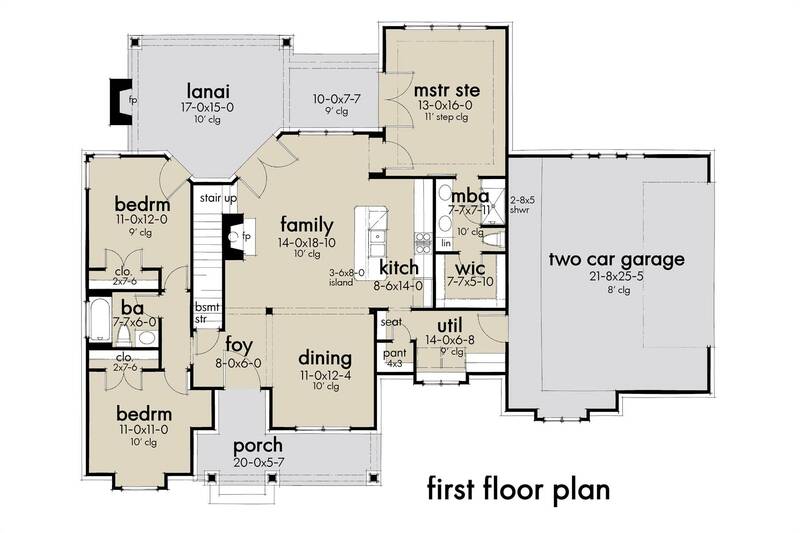 A 2-car side-entry garage is available in a 3-car option for extra storage.